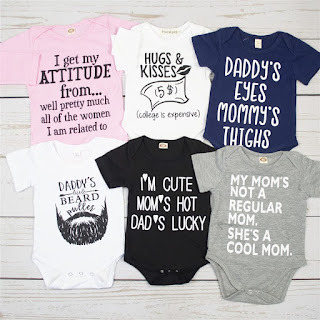 Right now these Adorable Print Bodysuits (3-18 Months) / 28 Options $9.99 (Retail $22.99). These adorable bodysuits are perfect for your little bug to wear! Pair with a cute pair of shorts or pants and you have an adorable outfit! SHOP NOW! 🛍PLEASE help us grow and keep going - share with a friend or two and don't forget to sign up for our once daily email subscription.